Thanks for sharing your visit to this beautiful garden; living in Italy I have to admit that the one thing I really miss is the possibility of visiting gardens; the only one worth visiting here are historic; they are wonderful for structural inspiration but not for the planting. Do you find that you learn even more from a garden or planting scheme that you don’t like – I do..
We’ve just come back from a holiday in Rome. you are right- very structural. Wonderful fountains. We managed to find lots of wild flowers though, and we were so new to Italy, that the lemon trees and olive groves were still wow moments for us. Yes, I learn from visiting the gardens- what works and what should work- but doesn’t and the reasons why. It’s fascinating unpicking the thinking behind garden planting schemes. My favourites at home are the ones that happen by accident. Opps left my comment for your last post here by mistake. 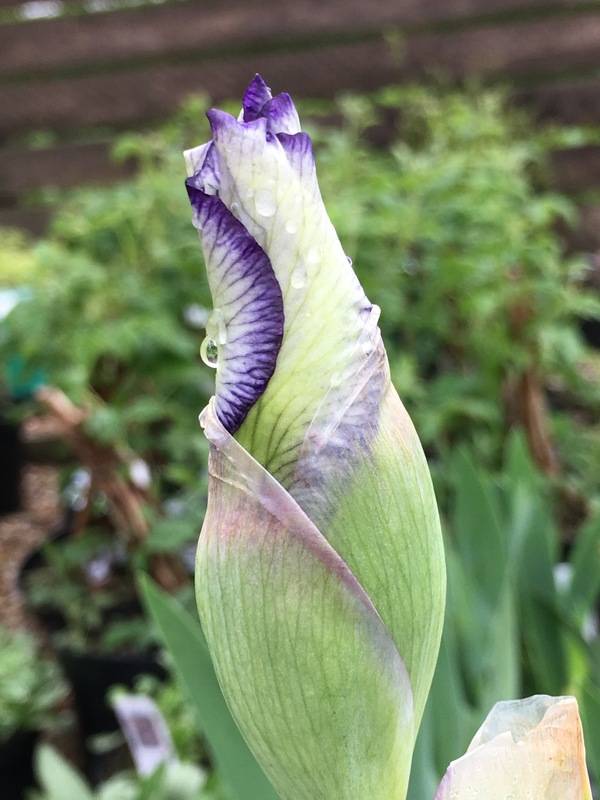 I think I have this Iris but I don’t know its name; do you know? I’ll just run out and check the label.